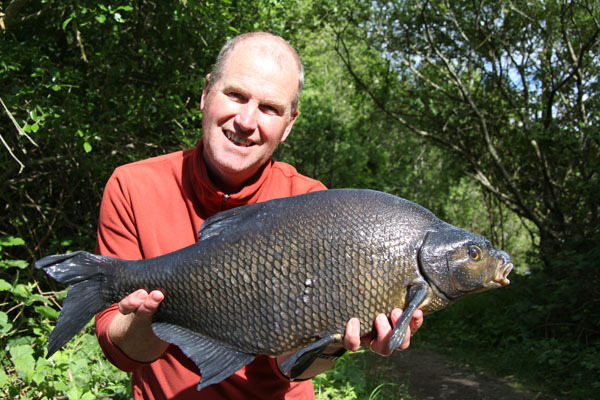 Tench feature in the Anglers Mail with Gary Newman as the camera man and reporter. 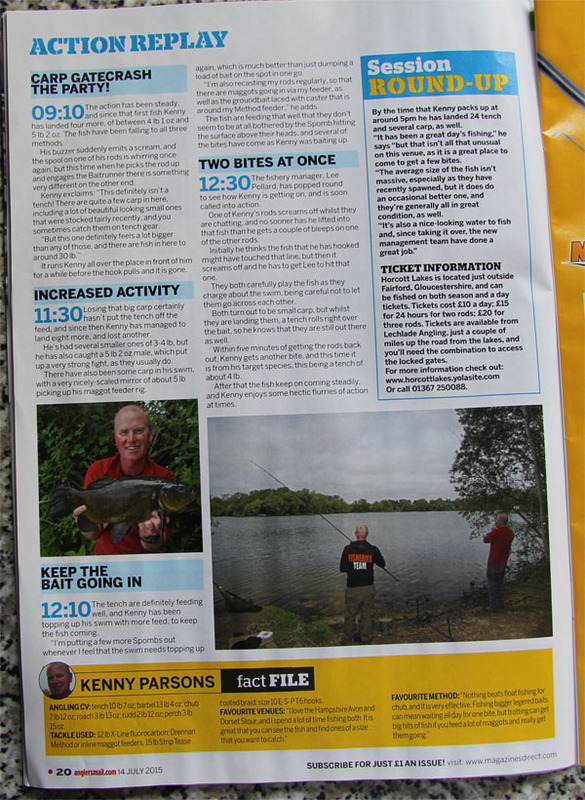 It’s funny how long ago it seems now Gary had asked me to help him to do a feature for the Anglers Mail on the Carp Societies Horseshoe lake. A few phone calls later saw us arranging a date in early June to fish the lake. I turned up early the previous day and set up where I thought the tench were. Nothing happened that night or morning. No sign of any tench and with a very cool easterly wind it didn’t look good. Gary turned up and I put him into the swim next to me. Guess what 36 hrs later and me moving swims not a single bleep between us. So we decided not to waste any more time as the tench were just not playing. I suggested that I return to Horcott lakes to see what was happening and he would return to Korda lake in pursuit of the big tench. I said I would let him know how things went at Horcott and perhaps we could do a feature there instead. Well I arrived and started to fish for the tench. Well after 4 hours of fishing and a 9lb bream and about 10 tench plus the odd carp later I phoned Gary and made arrangements for completing the feature for the following Wednesday. Wednesday came and in 2 hours I had caught 9 tench and some carp. Ian and Lee the fishery managers came to meet Gary and talk through the details of the day ticket water so it could be advertised with the correct details. I phoned Gary to say it’s on so he left his tackle at the lake he was fishing and came to see us. The rest is in the story. 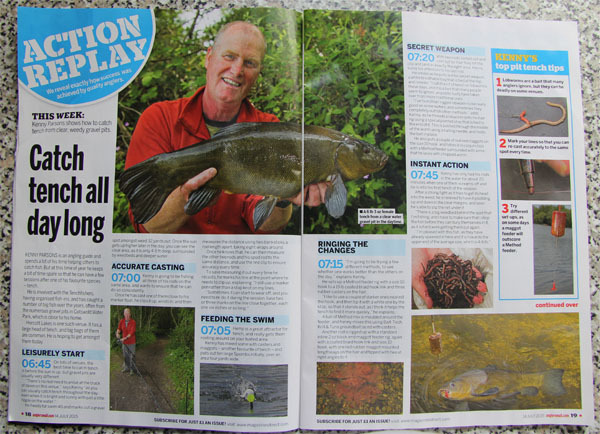 Gary did an excellent job for the write up on the fishery and thanks a million form me too. This entry was posted on Sunday, July 26th, 2015 at 11:34 am	and is filed under Uncategorized. You can follow any responses to this entry through the RSS 2.0 feed. Both comments and pings are currently closed.